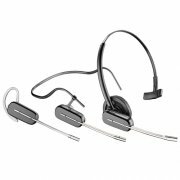 Plantronics W440-M, Microsoft Office Communicator/Lync compatible wireless headset. 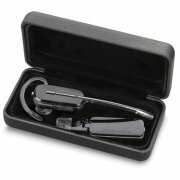 The first portable DECT™ headset system now includes the lightest headset on the market – the Savi 440-M. 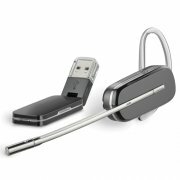 Enjoy your choice of three ultra-light wearing styles and wireless freedom to multi-task up to 300 feet from your desk. And you can change the hot swappable battery* mid-conversation for unlimited talk time. Impress your callers with advanced audio technology and enjoy world class sound quality, all in one convenient, portable package. 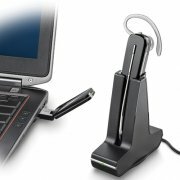 Ideal for users in campus-like business environments using a laptop for voice calls and multimedia, the hands-free Savi 440 wireless headset system is a productivity powerhouse. 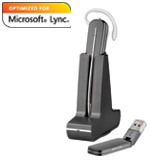 * Optimized for Microsoft Office Communicator 2007/Lync. supporting one-touch call control with Office Communicator.